It is 6AM on an overcast monsoon morning. Despite dark clouds threatening rain, people are already at Narayan Chaur, some jogging, others walking with umbrellas, a group is doing yoga on mats in the grass. The children are on swings and slides, and the elderly amble slowly along the stone paths. 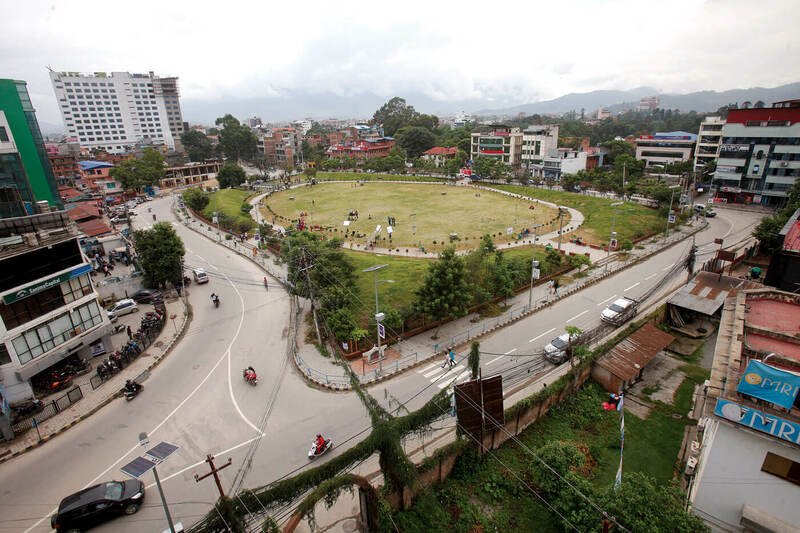 For a city known for its congestion and lack of parks, Narayan Chaur stands out as a model for urban renewal in which a community got together to restore an open space for public use. Spread over a hectare, in the heart of Kathmandu, and surrounded by new office towers, the Nandi Keshwor Garden (as it is officially called) provides an oasis of green amidst the concrete chaos surrounding it. 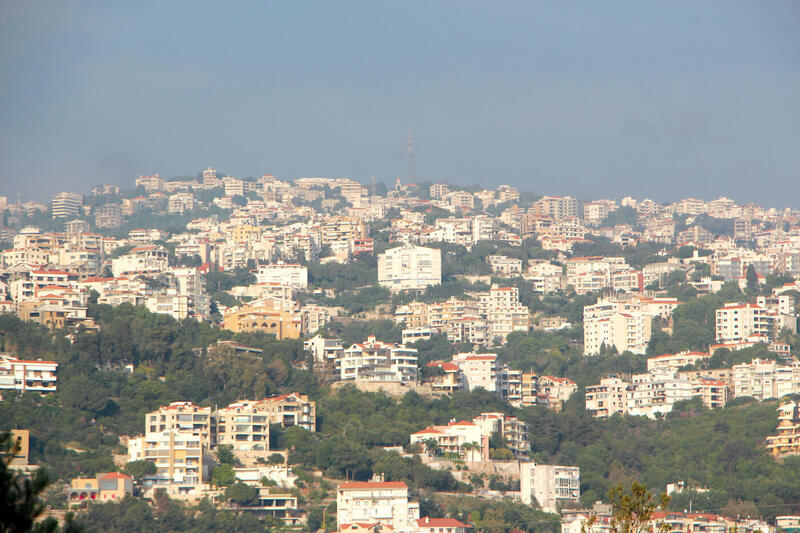 Until five years ago, this was a smelly garbage dump, infested with drug dealers. It got to a point where people from the neighbourhood would not walk out after dark. GREEN REVIVAL: Narayan Chaur, officially known as Nandi Keshwor Bagaicha, is a green oasis of calm in the middle of grey Kathmandu. The person most responsible for Naryan Chaur’s transformation is the artist and writer Narendra B Shrestha, who understood the cultural significance of the Nandi Keshwor temple. During the reign of Rana Bahadur Shah in the later 18th century, flowers from the garden where the park now stands used to be offered to the temple. One of the few people who helped Shrestha in his park rennovation project since the beginning was Prabighya Basnet. A forestry and environmental studies student, Basnet was appalled at the state of the historic site and consulted Shrestha about how to restore it. Basnet runs a farm and is the founder of Khali Khutta, a company which produces eco-friendly, all-natural products. She used her knowledge of trees and plants to start greening the periphery – and that effort grew into an initiative to reclaim the area. “We could do it because it was a community effort, and it is proof that it is possible to transform other such spaces in the Valley to make Kathmandu cleaner and greener,” says Basnet, who is now working to revive other open spaces that have become parking lots or garbage dumps. Some are already following the example of Narayan Chaur. 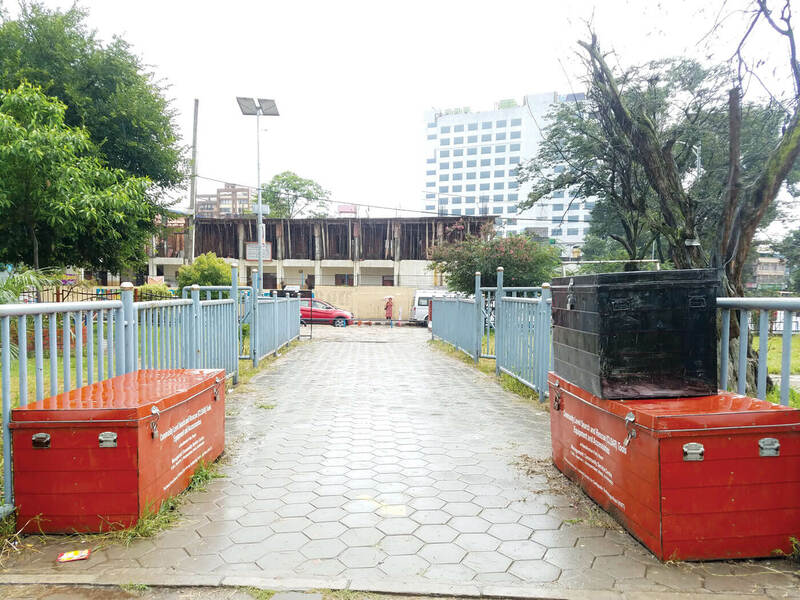 The Vijay Park in Dhumbarahi is an initiative of The Vaidya Organisation which has transformed another garbage dump along the Dhobi Khola into a park. Along the Bagmati River numerous organisations have come together to turn the filthy banks into parks. Narendra B Shrestha agrees that the park would not have been possible without the Naxal-Narayan Chaur community and the community police being involved, and his initiative which brought together the entire community, proves that change is possible if there is will. “The government was not involved, it was the people coming together to restore the space, and to manage its maintenance,” he adds. 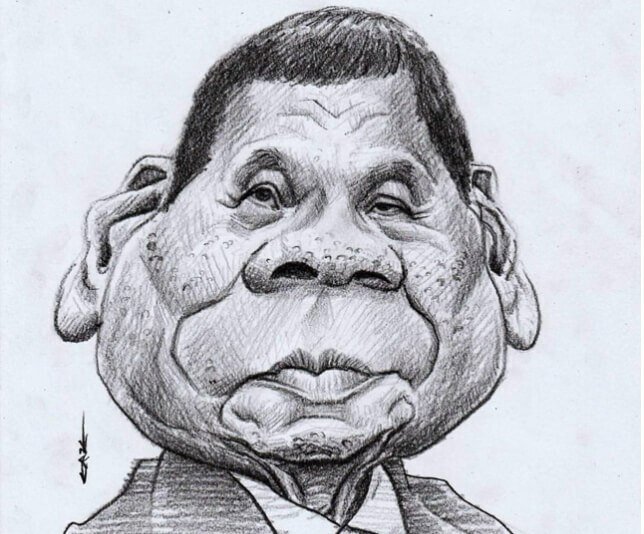 Work on the restoration began in 2012 and took in factors like selection of tree species and disaster management preparedness, while ensuring that the drug pushers did not return. Architect Prabal Thapa was enlisted to design the park, and corporate figures like tourism entrepreneur Yogi Shakya chipped in with seed money. By 2013, the master plan was complete and presented to the Kathmandu Valley Development Authority (KVDA), and the park was opened to the public a few months before the earthquake in April 2015. Fully equipped to cope with the disaster with safety boxes, six water recharge wells and solar lights, Narayan Chaur provided refuge for hundreds of people after the earthquake. “People these days are focused on commercialising public areas, putting up high rises and not enough importance is paid to community open spaces, not just for recreation and aesthetics but also for safety in times of crisis,” Shrestha adds. 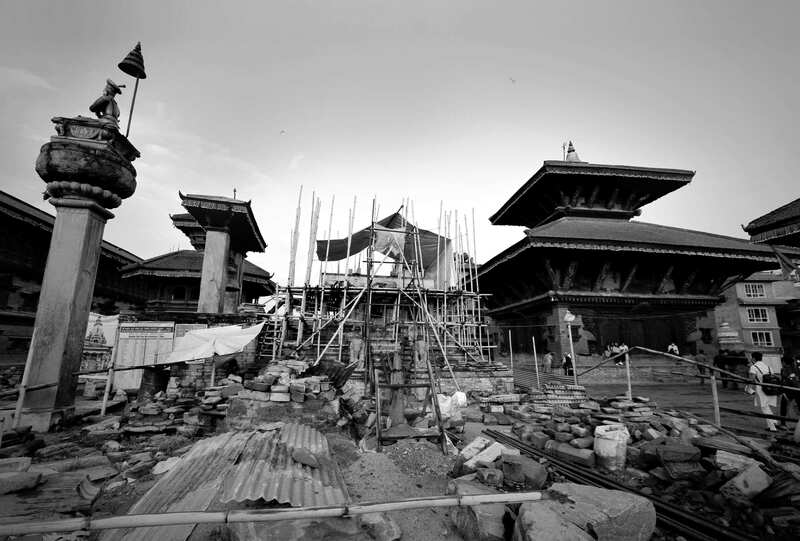 Kathmandu’s rapid urbanisation without proper planning is a slow-moving disaster in itself. Protecting green spaces is therefore not only socially and environmentally necessary, but can also bring economic benefits. Land and rental prices have soared in Naxal after the Nandi Keshwor Park was opened. The park was handed over by the government to the community to maintain and manage, something quite rare in Nepal. Learning from Nandi Keshwor, the government has come up with a list of 83 other sites which can be turned into community parks and safe spaces during times of emergency. 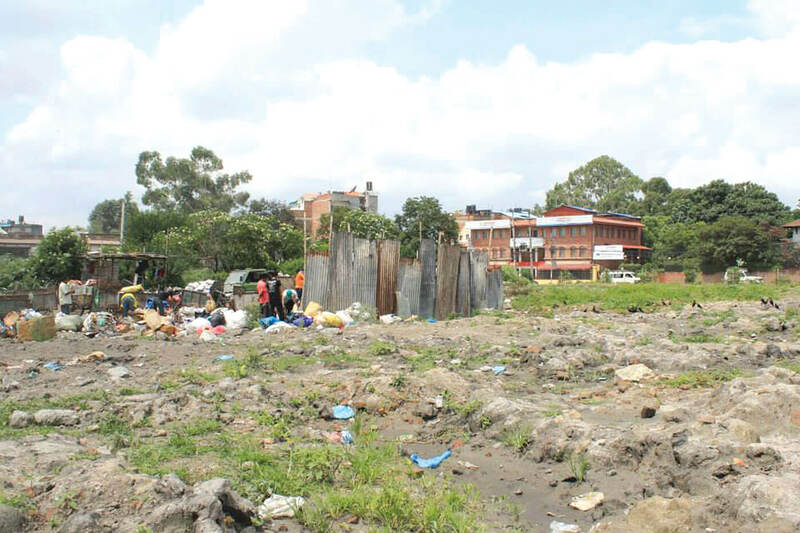 One of them is Tinkune, on the airport road, which has been an eyesore for more than 20 years. Narayan Chaur has shown how to go about it: stop waiting for the government to do something, get the community involved.